Freshwater Is Disappearing. Can Technology Save Us? Fresh water is the most important resource for human life on earth. People can survive far longer without food than without water, and virtually all of our food sources require fresh water to grow or create. Global climate change and the exponential increase in population has led to water scarcity and recent headline-grabbing water shortages in major urban centers like Cape Town and Sao Paulo. As water scarcity or cleanliness continue to present major issues to humanity’s survival, communities across the globe are turning to technology to help access more fresh water — or create it using seemingly ‘magic’ techniques. The first and most obvious reason is that humans need fresh, potable drinking water to drink. It is the lifeblood of all living things on earth; most plants and animals are made up of 70 or more percent water, and aside from precious few highly-adapted desert organisms, most living things cannot survive long without water — a matter of days for most plants and animals. Many research organizations note that a billion people and countless billions of animals and plants are in danger of running out of access to fresh water by natural or irrigated sources. Between overuse, climate change, and contamination, there are water crises unfolding in arid regions like the United Arab Emirates and Iran as well as a place once known as ‘City of Drizzle’ — not Seattle, but Sao Paulo, Brazil. Aside from growing populations making demands on the same amount of drinking water as has always been available, growing populations with shifting tastes are creating huge demand for agricultural meats, which create heavy demands on regional water supplies. The “water footprint” of a pound of beef can be hundreds of times more gallons than creating a pound of grains like corn, rice, or wheat. 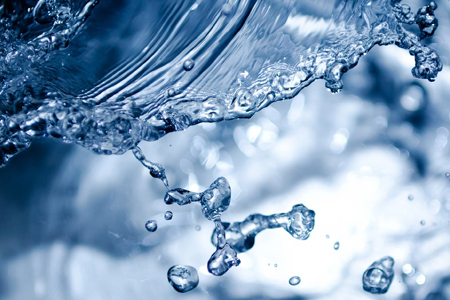 Water demand globally is projected to increase by 55 percent between 2000 and 2050. Much of the demand is driven by agriculture, which accounts for 70 percent of global freshwater use, and food production will need to grow by 69 percent by 2035 to feed the growing population. Water withdrawal for energy, used for cooling power stations, is also expected to increase by over 20 percent. In other words, the near future presents one big freshwater drain after the next. There are two main ways that technology looks to alleviate the impending water crises unfolding in arid and tropical nations alike. One is by using technology to make water-intensive processes more efficient. Agriculture, industrial manufacturing, and many other large-scale processes use massive amounts of freshwater and often contaminate or otherwise waste it in ways that render previously potable water useless or even harmful for life on earth. The other is by using technology to create fresh water — including in some remarkably science-fiction ways. From filtering saline ocean water to purifying water that was once deemed permanently toxic to pulling water from ‘thin air,’ even in arid climates, technology promises to save water in multiple ways. A team from UC Berkeley and the Berkeley National Laboratory created a device that is entirely passive and collects water from the atmosphere in desert environments that routinely see single-digit humidity measurements. Using a material called Metal Organic Framework (MOF), the team built box-shaped devices that use ambient heat and the radical temperature swings in desert environments to gather what moisture there is in the air and then condense and release it using natural heating and cooling as well as spikes in humidity levels. The key breakthrough here is the ability to create a material that can absorb meaningful amounts of water from some of the lowest-humidity air in the world; these are the places that most naturally experience water shortages. Researchers are currently working to perfect the MOF materials in order to increase their efficiency, reduce costs, and create devices that can be scaled to make a meaningful impact in desert regions from Arizona to Saudi Arabia. There is nothing like this. It operates at ambient temperature with ambient sunlight, and with no additional energy input you can collect water in the desert. This laboratory-to-desert journey allowed us to really turn water harvesting from an interesting phenomenon into a science. The ocean has long been considered the Holy Grail for the water scarcity crisis around the world. Dating back decades, scientists have worked on desalination projects aimed at creating an efficient, reliable means of turning salty ocean water into potable water for drinking and other processes that require clean, fresh water. However, even as some large-scale operations have been implemented to varying degrees of success, no desalination plant has made a meaningful contribution to a given city’s water supply. The main reason is that the two primary desalination processes — steam distillation and reverse osmosis — are both incredibly energy and cost-intensive and create large amounts of waste byproducts. Whether it’s salt and other minerals or used filters contaminated with dissolved solids, the waste byproducts plus the massive amount of energy required (an average gallon of potable water produced by desalination costs three times what a gallon of more traditionally sourced freshwater does to produce) means that desalination plants remain a tempting but impractical solution. Given that renewable energy is nearly as large a concern as fresh water, creating large-scale systems that derive drinking water from the ocean is going to require radical new breakthroughs that enable faster, more efficient filtration. While not exactly a means of sourcing or creating freshwater, smart grids and smart agriculture techniques, which use the Internet of Things to create highly data-driven and efficient systems, promise to reduce water use and waste across the largest water users on the planet. From big agriculture to poorly maintained or monitored infrastructure, countless millions of gallons of water are wasted due to inefficiencies in current systems. Smart grids pinpoint leaks faster, identify improper water use during periods of water restrictions, and funnel water to agricultural purposes with more specificity than was ever previously possible. While promising breakthroughs like MOF and water recycling systems like those being developed by NASA for space stations bring us closer to the science fiction ability to create and gather water from thin air or from plants’ perspiration (seriously), humanity still faces serious water issues as the population swells and the climate trends hotter and more arid. The latest generation of technology brings us closer to sustaining our water habits than we were before, but the need for innovation surrounding potable water is very real and far more urgent than most people realize. Only 2.5 percent of the world’s water is freshwater, and roughly half of that is frozen in polar ice caps. These striking numbers drive home the scarcity and urgency populations across the world are facing, and technology and research are poised to provide solutions to a complex and natural problem.